If you’re just starting to build your credit history or you want a card that you can use to cover everyday expenses, you can’t go wrong with a standard MasterCard. With this type of card, you get zero liability protection for unauthorized purchases and access to special perks, like MasterCard MarketPlace, which lets you save on purchases at more than 25,000 merchants. 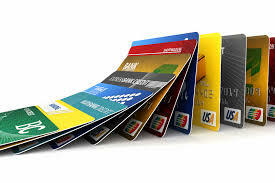 Some standard MasterCards also offer rewards programs, which let you earn cash back or reward points good for flights, gift cards and merchandise. A Gold MasterCard is designed to give you more purchasing power and more rewards on everything you spend. Travelers may find a Gold MasterCard particularly useful since these types of cards offer free travel assistance, travel accident insurance and roadside assistance. You can also get access to deals on shopping, dining and entertainment as well as discounts on airfare, hotels and car rentals with your Gold MasterCard. If you’re looking for a premium credit card that offers enhanced privileges and benefits, a Platinum MasterCard may be right for you. These types of cards typically have a more generous rewards structure, plus extras like travel assistance and purchase protection, which reimburses you if something you buy is damaged, lost or stolen. If you regularly travel outside the U.S., taking along a World MasterCard can give you peace of mind should the unexpected happen. With this type of card, members can take advantage of price protection, extended warranty protection and ID theft protection services on purchases as well as trip cancellation services if you’re unable to reach your destination. Members can enjoy discounts on vacation packages, travel upgrades and savings on golf, spas, dining out and entertainment. Frequent flyers will also appreciate personalized airport concierge service at more than 450 airports worldwide. Business travelers who are looking for a world MasterCard can enjoy some significant benefits with the IHG Rewards Club Select Credit Card. The IHG Rewards Club World MasterCard lets you and you . A World Elite MasterCard is the obvious choice for travelers who want to enjoy a luxury experience wherever they go. With this type of card, you can enjoy discounts on rooms at selected luxury hotels in cities around the world. Members can also take advantage of complimentary upgrades and discounts on things like car rentals, cruise packages, vacation tours and airfare. You can even get discounts on chauffeur services or flights aboard private jets. If you need help booking your trip or run into a problem when you’re away from home, a personalized concierge is available to assist you 24 hours a day, 7 days a week. With so many different types of MasterCards to choose from, it can be difficult to determine which one is right for you. The key to finding the best credit card is to consider how often you’ll use the card, where you’ll be making most of your purchases and what kind of fees are involved to make sure you’re getting the best deal.